DIN Standards are issued for a variety of components including industrial fasteners as DIN 464 Raised Knurled Head Thumb Screws. DIN 464 Screws are manufactured from Austenitic stainless steel A2 and A4, Brass, Carbon Steel or many other materials. DIN 464 Screws are available in a wide range of sizes, shapes and materials. DIN 464 Screws are also called knurled screws. DIN 464 Standard implies the presence of a high head. 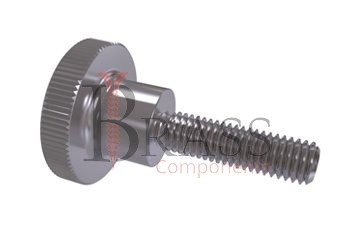 The range of DIN 464 Screws are available with High Corrosion Resistance. High Smooth head of large diameter and Anti-Slip notches. DIN 464 Screws are produced from one piece and threaded over full length. The galvanizing coating will protect DIN 464 Screw from moisture and will not rust the metal to destroy connection. DIN 464 Screws are available with High Strength and Pleasant Appearance. 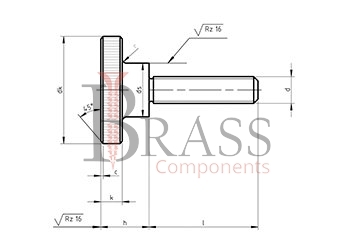 DIN 464 Screws are widely available for better insertion of the hardware into the opening of the connecting piece. DIN 464 Screws are available in different coating, plating, size, material and other configuration. The range of DIN 464 Screws are used for furniture production, instrument making and in various field of industry and production. DIN 464 Screws are used in condition of high humidity. Standard range of DIN 464 Screws are used for manual installation, without the use of special tools. General Range of DIN 464 Screws are used in the machinery or equipment where it is necessary to frequently change or remove parts. We manufacture DIN 464 Screws as per Custom Specification and export in France, Italy, Switzerland, Poland, Greece, UK and other European Countries. For more Information, Please Contact Us or Inquiry Now.